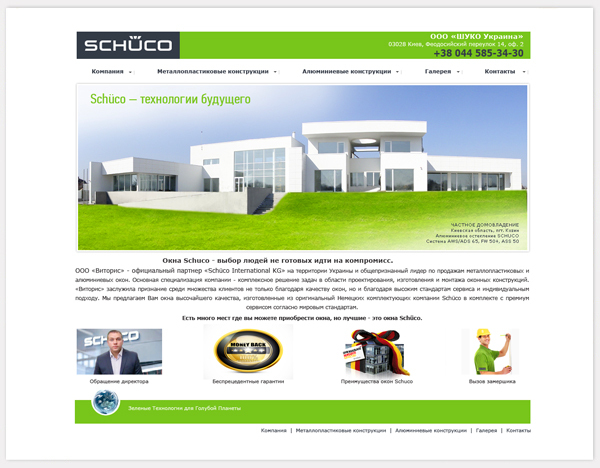 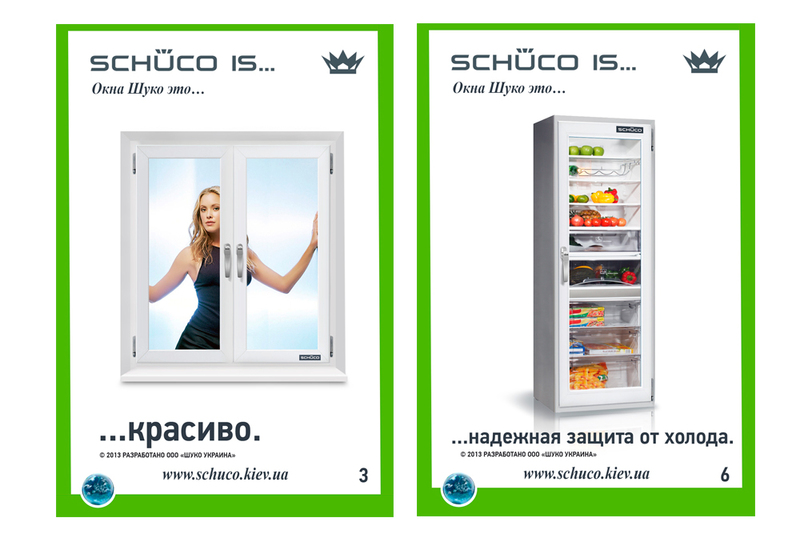 Schüco Ukraine is the official partner of Schüco International KG Germany. 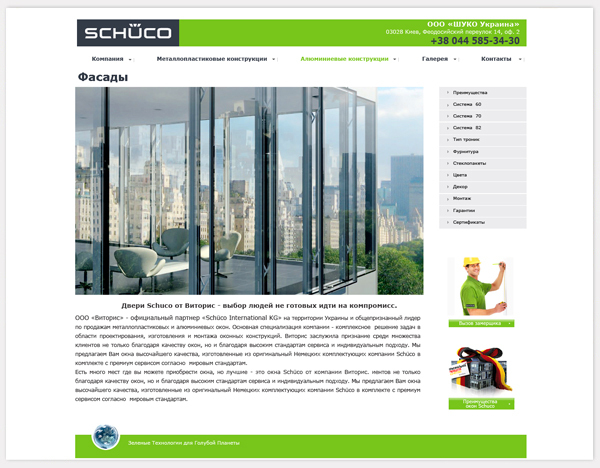 Manufacturer of high-tech windows. 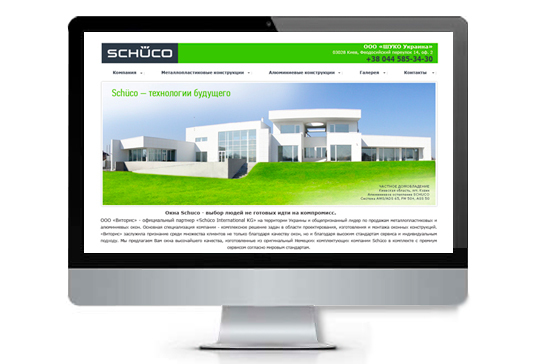 The company undertakes the most complex projects of glazing of windows, facades and terraces. 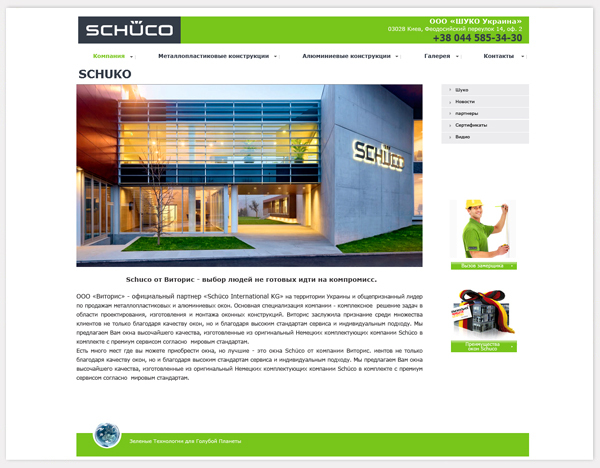 And also for the company a number of polygraphic products were made.